Maintaining accounts can be challenging for any growing business. 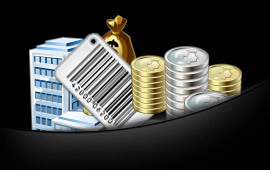 Now you can easily manage financial records of your company with this accounting software. Enterprise edition of accounting software is enhanced version of standard edition that helps you to access entire business entries in simplified format on your PC. Easy way to maintain financial records in well organized way. Automate entire invoice management process. Eliminate data redundancy and reduce errors. 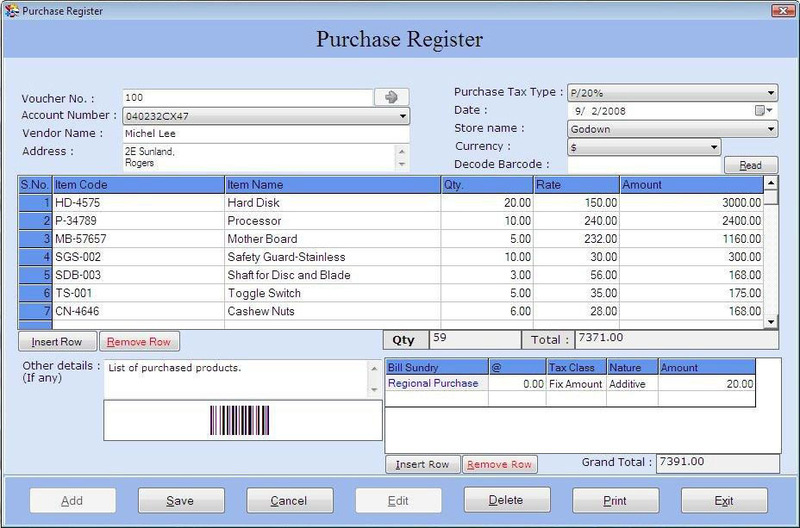 Billing and inventory management software easily maintains multiple company records, stock inventory details, tax related information, voucher entries, customer-vendor details. Advanced bookkeeping software easily generates various useful accounting reports including final report (balance sheet, trial balance etc), sales/purchase reports, daily transaction report, production report etc. Billing and accounting software is fully password protected that keeps your company records safe from unauthorized users. Bookkeeping utility provides data backup and restore facility to keep data safe for future use if lost or accidentally deleted. Bookkeeping inventory management utility provides option to fetch database records from other machines via LAN network when required. Automated billing and accounting program provides data security by freezing records with specified date range to keep them away from unauthorized users. 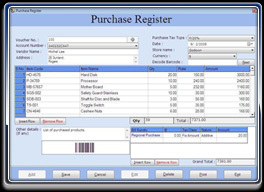 Business accounting software provides advanced barcode feature that provides accurate data entry with minimized errors. Major Windows Operating system – Windows 7, Windows Vista, Windows XP, Windows Server 2008, Windows Server 2003 etc.